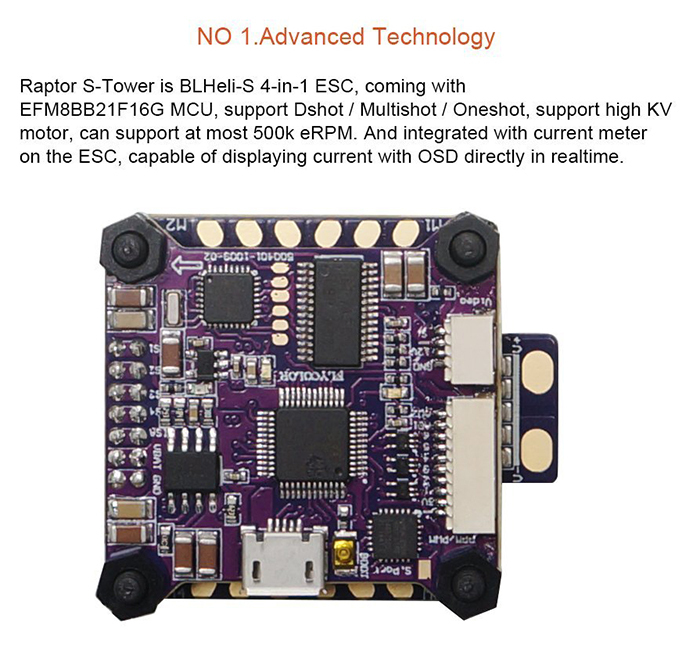 Raptor S-Tower is BLHeli-S 4-in-1 ESC, coming with EFM8BB21F16G MCU, support Dshot / Multishot / Oneshot, support high KV motor, can support at most 500k eRPM. And integrated with current meter on the ESC, capable of displaying current with OSD directly in realtime. BLHeli-S firmware is the next generation code, following the base BLHeli code. 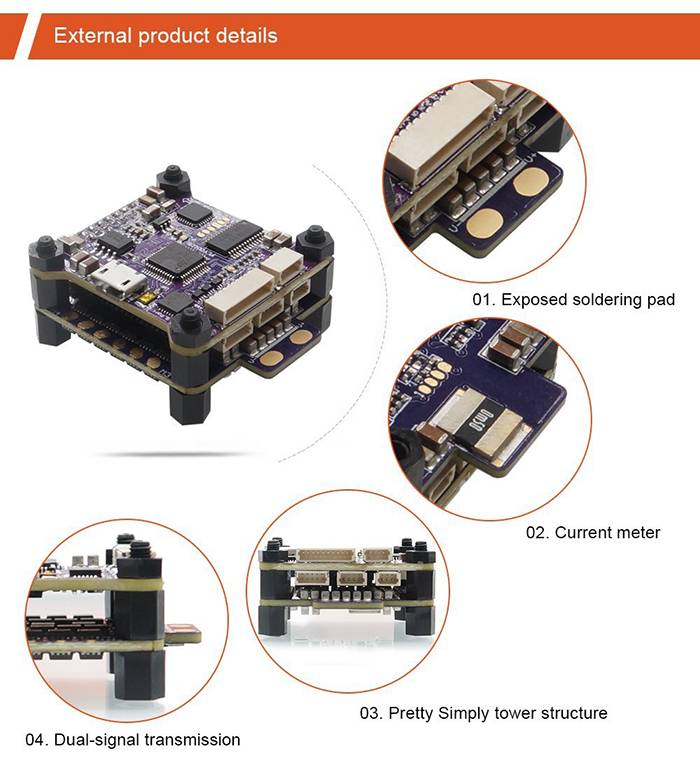 It designed for superior performance in multirotors, and uses hardware generated motor pwm for smooth throttle response and silent operation. 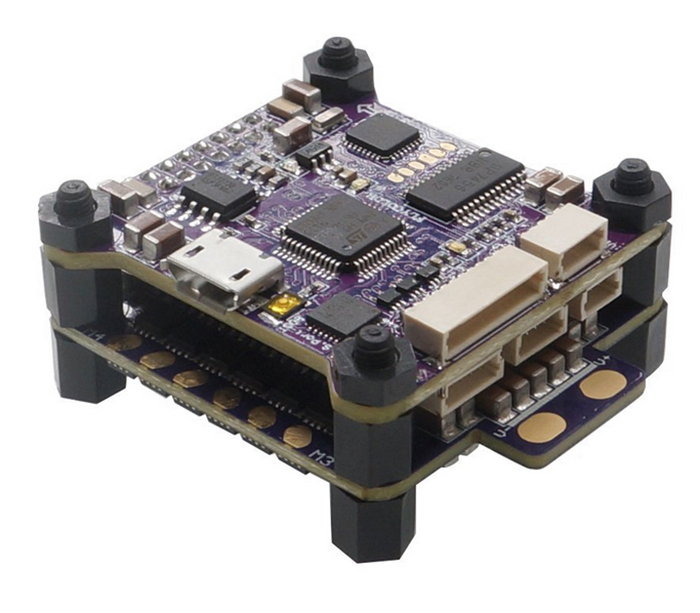 F3 flight controller, supports PPM, PWM and SBUS remote control / receiving mode. 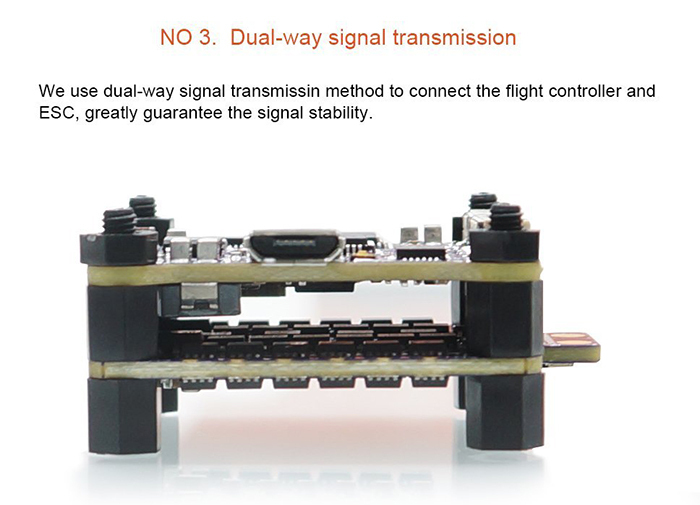 Dual-way signal transmissin method to connect the flight controller and ESC greatly guarantee the signal stability. The code supports regular 1-2ms pulse width input, as well as Oneshot125 , Oneshot42 and Multishot . The input signal is automatically detected by the ESC upon power up. Why should we choose the raptor 390 tower for the drones? 2. The Tower structure design could protect the ESC well during the flight.ESC is one of the most easily broken parts on the drones except the propellers.According to our experience,some of the ESC were damged by the propeller rotation or tree brunch cut after the damage when it installed on top of the motor arm.Some of the ESC were damaged due to the broken of the motor arm during the crash.For this tower, the esc integrated in the tower which installed in the middle of the quad frame, the ESCs can be protected quite well. 3. 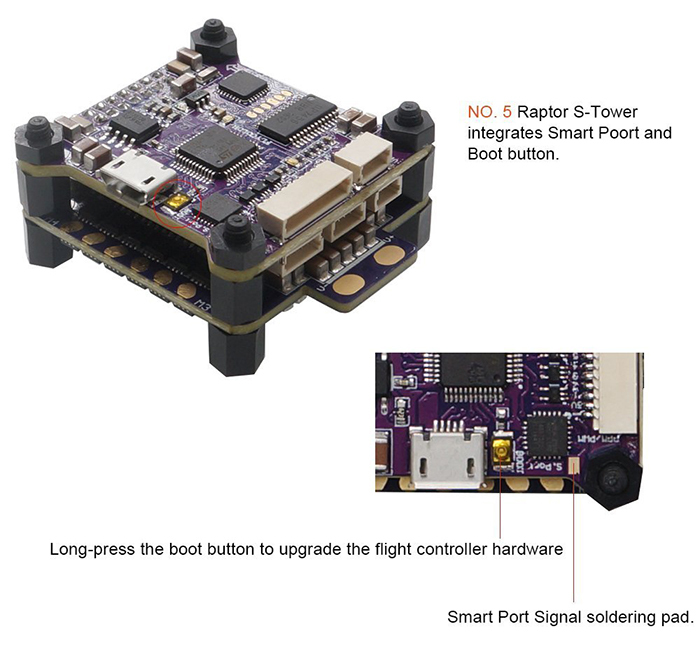 Raptor 390 tower makes the assembling of the fpv racing drones more and more convenient,the wires tidy and concise.Using this tower, you just need to solder the 4 motor wries to the holes, so easy. The lower board integrated the 4in1 ESC,the power port is in the center,bulge a bit over. 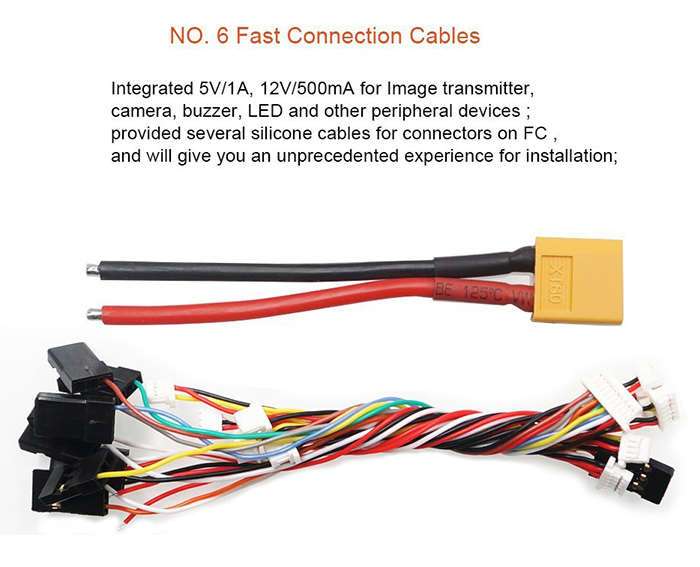 This could not only make the connecting wires more convenient, but also avoid to interrupt the esc output port on the two sides. 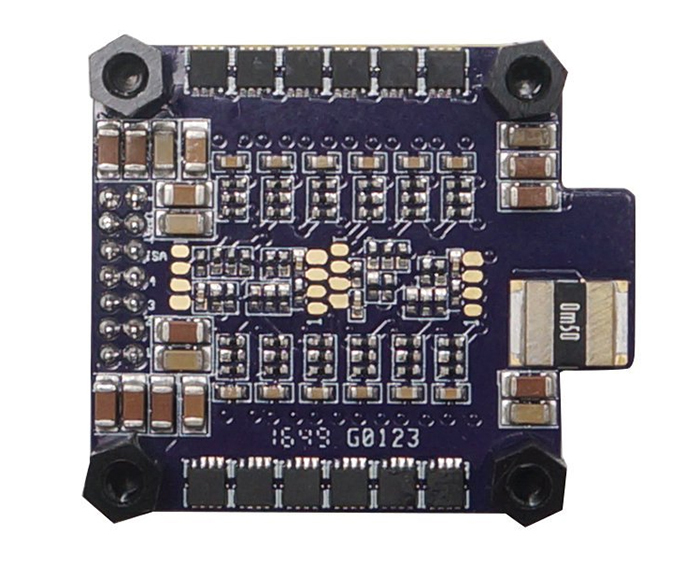 The upper board F3 flight controller board integrated with the OSD. 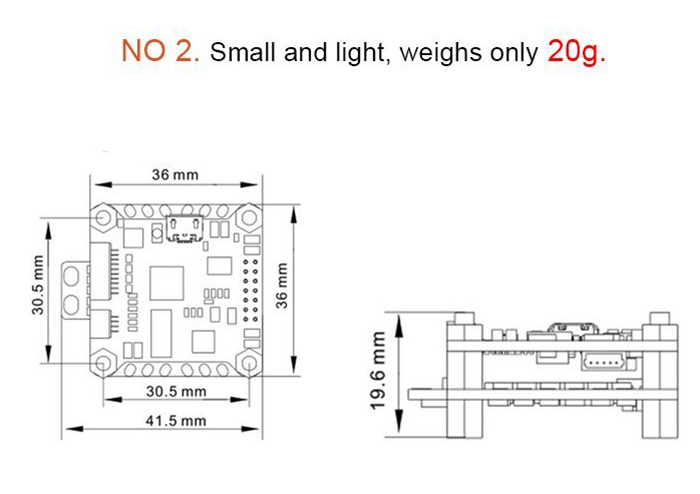 There is also 5V,12V and BATV for powering the camera,video tx,LED and other euipements. 4. Small size and light weight tower fit for all sizs of the quad,and make the center of gravity of the drone lower. The weight of the raptor 390 tower is only 22g, with two layers tower structure, the height is only 15.1mm. Therefore, the tower can be installed on the 130mm to 330mm size of quads easily.